What’s another chocolate bar? 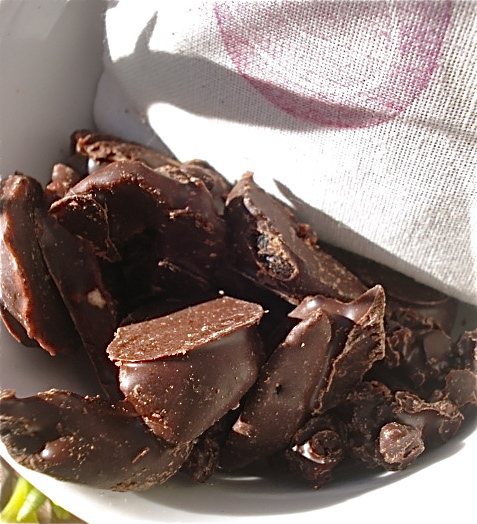 What’s another bag of fruit-covered chocolate? Chocolate maker Daren Hayes, a graduate of the Oregon Culinary Institute, stone grinds and slowly tempers the chocolate. The cacao beans themselves – high in magnesium and antioxidants – are from the finest wildcrafted and organic beans – shade-grown with tropical native plants to sustain the ecosystem. 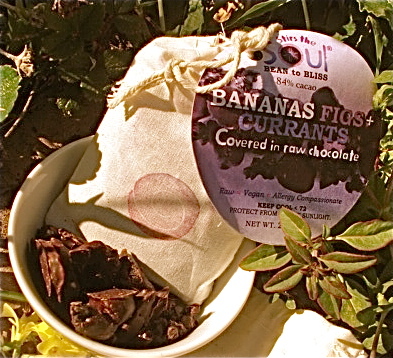 Bananas, Figs & Currants is a recipe of moist, chewy organic fruit dipped in luscious date-sweetened dark raw cacao. 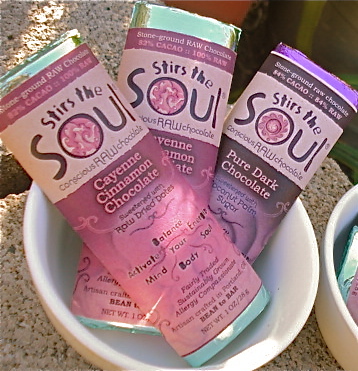 The scrumptious chocolate bars are sweetened with dates or with coconut palm sugar. Each bar has its specific spice-to-sweet ratio, and own smooth & delicious character.